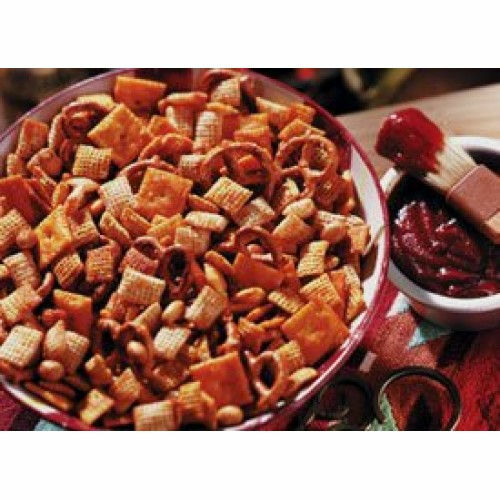 In a large microwavable bowl, mix cereals, pretzels, crackers and peanuts. In small bowl, stir together remaining ingredients. Pour over cereal mixture, stirring until evenly coated. Microwave uncovered on high for 7 minutes. Stirring every 2 minutes. Spread on waxed paper to cool. Store in airtight container. So easy but it is so delicious you will have to make more!